Lindal is currently offering a 10% discount on home packages to people who lost their homes in Hurricane Michael or in one of the devastating wildfires that has ravaged California and other regions of the West Coast this year. Please contact your local Lindal distributor for details or call our Client Services team at 1-800-508-1833. 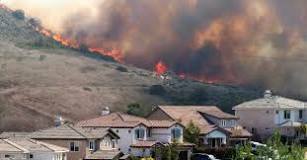 In the past decade, prolonged drought and population growth resulting in urban expansion has dramatically increased the number, intensity and range of wildfires on the West Coast of North America, including California, Oregon and Washington State in the U.S., and British Columbia in Canada. Fires have also increased in intensity, duration, and range throughout North America and other parts of the world. When people choose to rebuild after a fire, or build in a high fire-risk area, they often ask us how to build a fireproof home. The short answer is that you can’t. 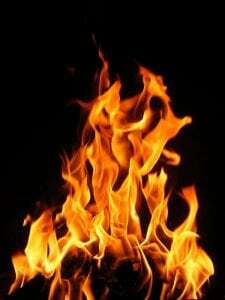 No home is completely fireproof. No home can withstand prolonged exposure to temperatures of 2,000 degrees or higher. However, by using Allura siding and similar fire-resistant materials, it is possible to build a highly fire-resistant home. The best way to fireproof your home involves careful selection of exterior materials. Lindal Cedar Homes has a long history of working with clients in high-fire-risk areas of California and elsewhere. We ensure that their homes meet all the local fire codes. In California, this means designing homes that are in compliance with CA wildland urban interface (WUI) regulations. “We’ve done a number of homes over the years that meet WUI,” said Bret Knutson, Lindal Cedar Homes’ operations manager. The requirements mostly involve using fire-resistant materials on the exterior of the home. The goal: To prevent a wildfire from burning through the siding and penetrating into the home’s interior. The beauty of the Lindal Cedar Homes system is that clients can choose from a wide variety of siding and finish options for any home design and floor plan. That means it’s easy to build a fire-resistant home that suits your neighborhood and personal style. Also, because most of our homes are based on modifying existing designs, you pay a fraction of the cost of hiring an architect or engineer to design a custom home. Harry Miller of Executive Cedar Homes is a longtime Lindal Cedar Homes dealer in Northern CA. This year, he’s working with several clients who are rebuilding their homes after a fire, as well as others building a new home in a fire zone. A former firefighter himself, Harry has a lot of sympathy for people going through the rebuild process, and offers special discounts to people in their situation. (If you are rebuilding after a fire, check with your local Lindal dealer to see whether such a discount is available). “I tell them I know how you feel, we’ll give you a very good price. I would feel bad charging them full price. You’re supposed to help people who are down and out and losing everything,” he said. Harry likes to stress Lindal’s commitment to engineering the highest quality homes on the market. His clients are often impressed to learn that Lindal Cedar Homes offers an industry-exclusive Lifetime Structural Warranty on every home built. Sean Chrisman is another independent Lindal dealer, His Lindal dealership, Sierra Cedar, has with an office in Fair Oaks, not far from where the worst fire in California state history, the Paradise Fire of 2018, destroyed homes and killed 85 people. A former firefighter, Chrisman was working as a firefighter and builder in Tahoe in 2006, He was there when the Angora Fire of 2007 in El Dorado County, California, destroyed many homes in the area. He has experience building Lindal Cedar Homes, and rebuilding homes after a fire. In addition to the 10% discount offered by Lindal to recent fire victims, Chrisman is offering an additional 10% discount on the Lindal home exterior materials package. Contact his dealership for details. Lindal offers a wide range of materials that meet stringent fire code regulations, and will work to ensure homes are engineered to meet the fire code requirements in your area. Allura siding is a fiber cement material. The lap siding version mimics the look of stained or painted wood. It is a lower-cost option than wood siding. In addition to meeting fire code requirements, it is also hurricane resistant, low-maintenance, and resistant to insects and rot. Lindal Cedar Homes uses Allura siding on many of its home designs. Our Allura siding comes pre-stained on all sides in the color of your choice, making maintenance easier than ever. As with Allura siding, these composite materials have fire-resistant properties. These make them a good option for homes in a high-risk area. The lap siding gives your home the look and feel of a traditional wood home. In addition to using Allura siding, we often recommend Allura non-vented soffits. The soffits are sealed off from the attic with closed-cell spray foam. In addition to its insulating qualities, the foam works to prevent sparks from flying up under the eaves of your home to ignite your attic. Tempering glass is very important in a Lindal home, where walls of glass are common. Typically, all windows are made of two panes of glass with an insulating gas in the small space between them. The tempering process ensures that the windows will not blow out under the extreme heat of a fire. 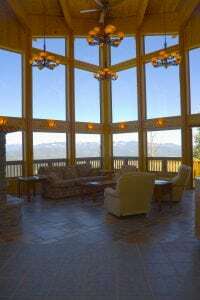 Whereas Lindal always tempers windows located near doors and bathrooms, in areas with high fire risk all windows will have one — and sometimes two — tempered glass panes. Yes, that’s right — you can have a traditional Lindal Cedar Home with cedar siding, even if you live in a high-fire area! Cedar siding at least two inches thick gives your home the same fire-resistant properties as composite materials such as Allura siding. 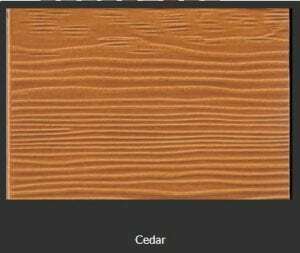 You can also opt for a cedar veneer, with a composite material backing it. Lindal often uses LP FlameBlock fire-rated sheathing to protect the walls of your home. This sheathing is constructed of oriented strand board (OSB); an engineered wood product. 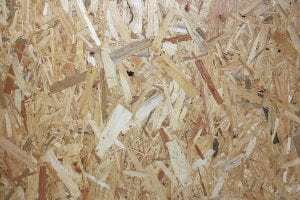 Similar to particle board, OSB is composed of adhesives that join and compress layered strands of wood in various orientations. Lindal has worked with many clients to design and build homes in high risk areas over the years. Our experienced drafters, engineers, and Lindal representatives work with the local permitting authorities in many different counties and jurisdictions. The cost to build a fire-resistant home varies depending on the materials used. In general, composite siding materials are less expensive and require less maintenance. Our premium cedar siding is sourced from the Western red cedar using sustainable harvesting practices. While this unique material — unparalleled in quality and beauty — is more expensive, it also adds great value to your home and can be as fire-resistant as composite materials. It is helpful to discuss all your options with your local Lindal dealer to find the material that works best for your lifestyle and budget. Lindal Cedar Homes offers a number of home design plan books, showcasing homes in every size, style, and configuration imaginable. Every home in the books can be modified to suit your budget, lot and lifestyle. You can change the roof angle and pitch or the siding materials, depending on what makes sense for you and the region in which you live. It’s helpful to look at these books to get an idea of what you want your new home to look like. You can view our home style plan books free online (registration required), or purchase a physical plan book from our store. At what point should you reach out to a Lindal representative? We recommend you contact your local Lindal rep when you’re ready to purchase land or to start sketching out the design of your new home. Our regional network of independent Lindal distributors spans the United States, Canada, and many international locations. Your local Lindal rep is uniquely positioned to understand the requirements and regulations for home-building in your area. In addition, they can help you accurately price out the cost to build in your location, and discuss options for siding, trim, hardware, windows, doors, and more. Lindal dealers have connections with local tradespeople as well as city and state permitting agencies. They communicate closely with Lindal’s corporate office to provide you personalized service, every step of the way. They help clients to coordinate the entire process, from the initial design and pricing estimates, to foundation work, home materials delivery, construction, and interior finishing. 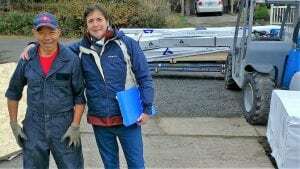 Most Lindal dealers will do an initial site visit of your existing lot or a lot you are considering. They will walk the property with you to discuss ideal home placement, topography, possible permitting issues, and other site considerations.